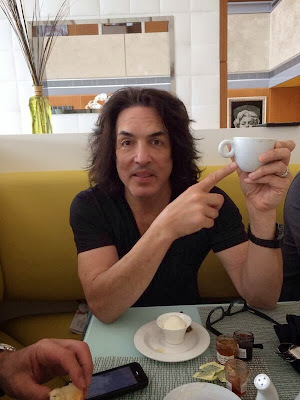 KISS have landed back on American soil after touring Japan last week. The band members are making their way to Miami to set sail aboard the KISS Kruise III with 4,000 members of the KISS Army. "Jet lagged and happy to be on home soil. Join me for breakfast?"